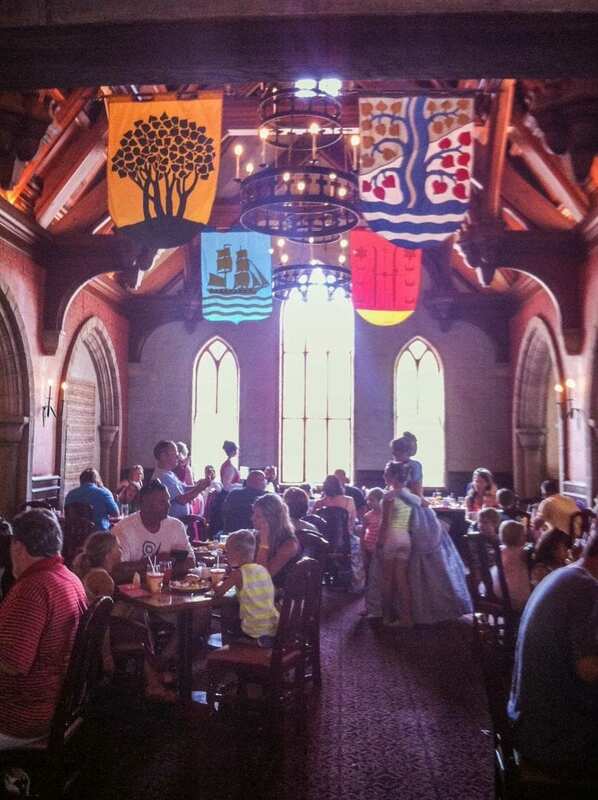 If you are looking for a great way to meet Disney princesses without waiting in long lines or using your FastPasses, then you should consider booking a character meal like the one at Akershus Royal Banquet Hall in the Norway Pavillion at Epcot. This is also a cheaper option if you don’t want to spend the extra money or use two dining credits at Cinderella’s Royal Table in the castle at the Magic Kingdom. Cinderella’s Royal Table is an amazing experience that I think everyone should try once, though. Click here to read about our experience there. 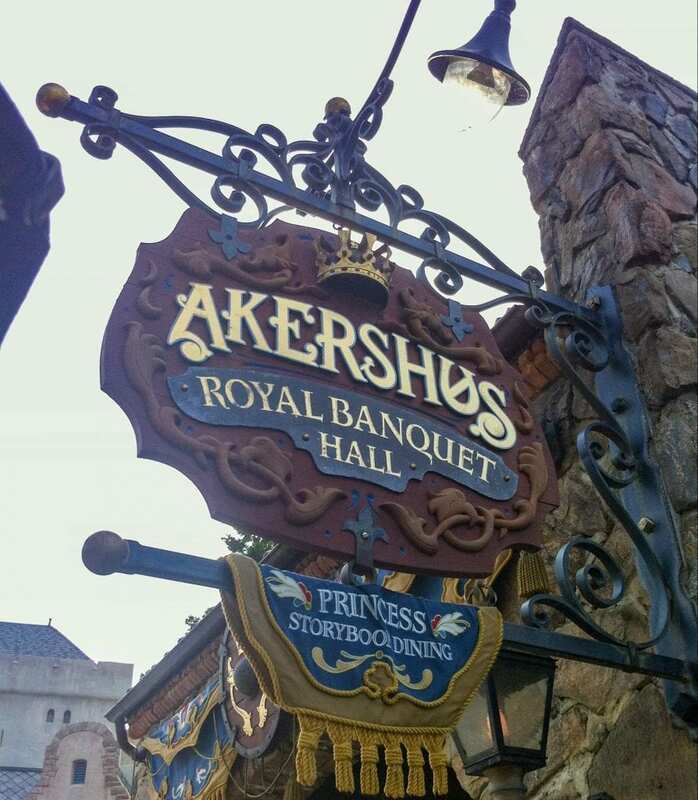 Anyway, we decided to try Akershus for our daughter’s first princess character meal, and I am so glad we did! We have some wonderful pictures and memories now. We decided to do breakfast for our meal at Akershus, and we opted to go at opening so that the seatings would not be behind schedule. I was able to score the Advanced Dining Reservation, or ADR, at our 180-day mark. We are planners, and I wake up early to score those reservations on our ADR day. I will say that you probably don’t need to make this reservation so far in advance unless you are trying to get a breakfast at opening. With the arrival of the attraction in Norway, Frozen Ever After, many people are trying to get a pre-park opening reservation at Akershus so they can get in line for the attraction before all the rope-drop people get there. If you are not trying to ride this attraction, you can still get ADRs pretty easily for other times of the day. We arrived at Epcot at opening, but we did not have a pre-park opening reservation, so we waited until rope drop to make our way over to Norway. We walked briskly through Future World and entered World Showcase on the left side. We walked past Mexico to Norway and got in the check-in line. We did wait a few minutes, and in June, the morning temperatures were already rising with a healthy dose of humidity, so standing in a line outside at this point was not too pleasant, but it wasn’t unbearable, either. Let’s just say we were glad when we had checked in and our name was called. 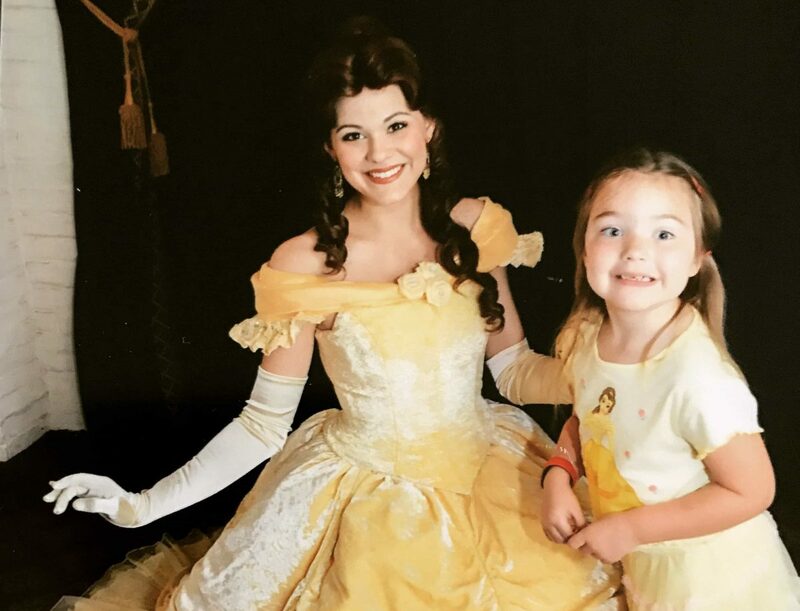 When you enter the restaurant, the first thing that happens is a photo op and meeting with Belle. 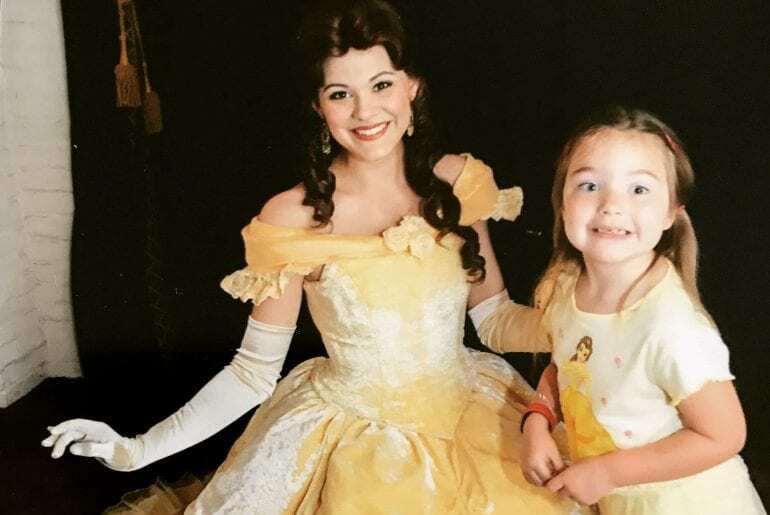 Kristin was wearing her Belle outfit, so she got a lot of attention from Belle. Kristin also was so excited that she was having trouble holding still to take the picture! This is also the picture that will be added to your Magic Band. Belle also signed our autograph book, and soon we were shown to our table. Another reason we chose breakfast was the selection of food was more likely to satisfy my two picky eaters. I didn’t think the lunch and dinner menu would go over too well with them, even though I’m sure it’s fine for most people. We like to use All Ears for dining information. Click here to read more about the breakfast menu. You can access the most up-to-date dining information at this site. We love it! We were seated in a little alcove of the restaurant with three tables inside. We could see the main dining room, but we weren’t really seated in the main dining room. Here is the view looking into the restaurant. It was nice to be a little ways out of the main action. I think Kristin actually ate more food this way. Our server took our drink orders, and then we were able to visit a little cold buffet with cold meats, fruit, yogurt, and pastries. My picky eaters headed straight for the pastries. I can’t really blame them, though! After our little trip to the cold bar, it was time to meet a princess! That’s the main reason we were there! Snow White appeared first. Mary Poppins was featured on this day. She is not a regular, as I understand. We were excited to see her! About the time of this meeting, it was time for a parade around the restaurant. Mary Poppins took Kristin by the hand for the parade. As I mentioned before, it was hard to get Kristin to hold still. After the parade, our hot food arrived at our table. It is nice that this part of the meal is served family-style. We had scrambled eggs, sausage links, bacon, and potato casserole. The potato casserole was so cheesy and good. It was my favorite part of the breakfast! We ordered seconds on the hot food, and soon Sleeping Beauty was at our table. I like that she is kind of holding Kristin still for the picture. We finished our second helping of food, and we were stuffed! We had seen all of the princesses, and we had done a parade. Our wonderful breakfast was over. We charged our meal to our Magic Bands. We don’t do the dining plan; we actually save gift cards for about two years to pay for our meals and tickets at Disney. After trying the dining plan once, we wanted to find a way to dine with more flexibility while still pre-paying our way. We earn a lot of gift cards through Swagbucks and other programs. We discovered that we could earn gift cards for our meals and that even saved us a lot of money! Most often, we redeem for Target gift cards and then use those to buy Disney gift cards in the actual Target store. If you are interested in earning through Swagbucks, click here on my affiliate link. Feel free to ask any questions about this in the comments of this post. I am always excited to share how we can afford to go to Disney World every other year! When our royal dining experience was over, we hung around Norway for some photo ops. Kristin took this picture. 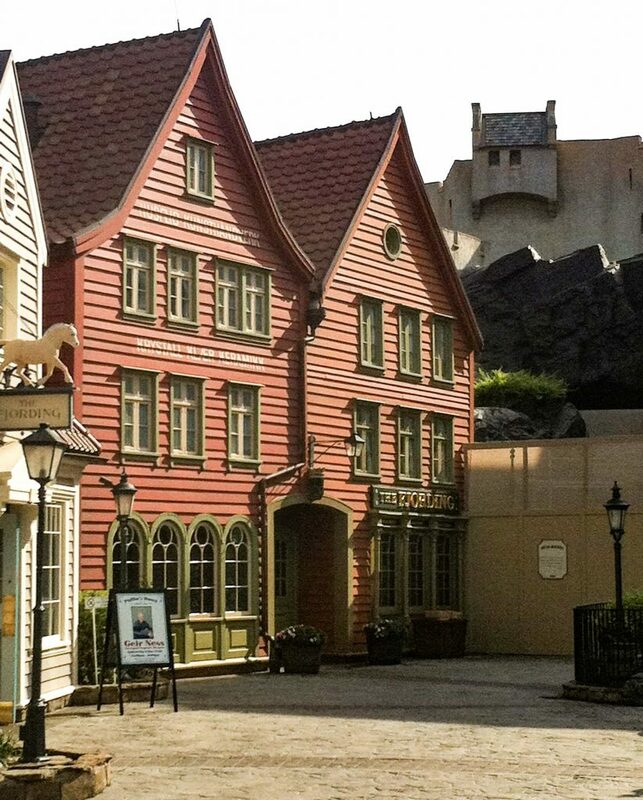 The Norway Pavillion is really beautiful, as are most areas in Disney! We had a great time exploring a little, and then we actually headed back to the resort for awhile. I know this sounds crazy. We had already done an Epcot morning on a previous day, and we had Fastpasses for the evening, so we went back to rest and swim. We were staying at Animal Kingdom Lodge: Kidani Village for this trip, and it is an amazing resort. 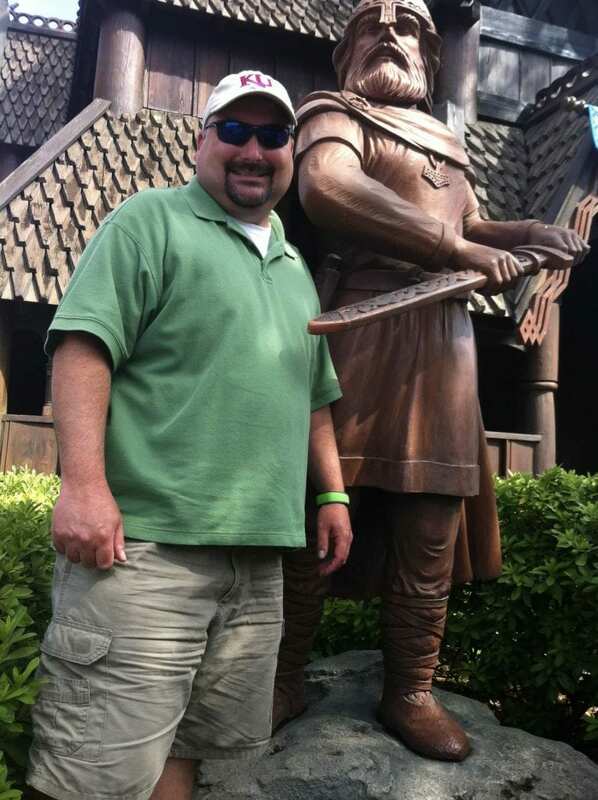 To read more about our experience at Kidani, click here. To read more about how we afford to stay at deluxe Disney resorts for about the same price as a Disney moderate resort, click here. 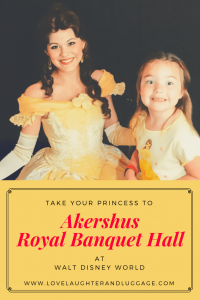 Akershus Royal Banquet Hall is a wonderful way to meet Disney princesses without waiting in lines or using your FastPasses. You also get some great food while you’re there. We had a great time, and we would go again. 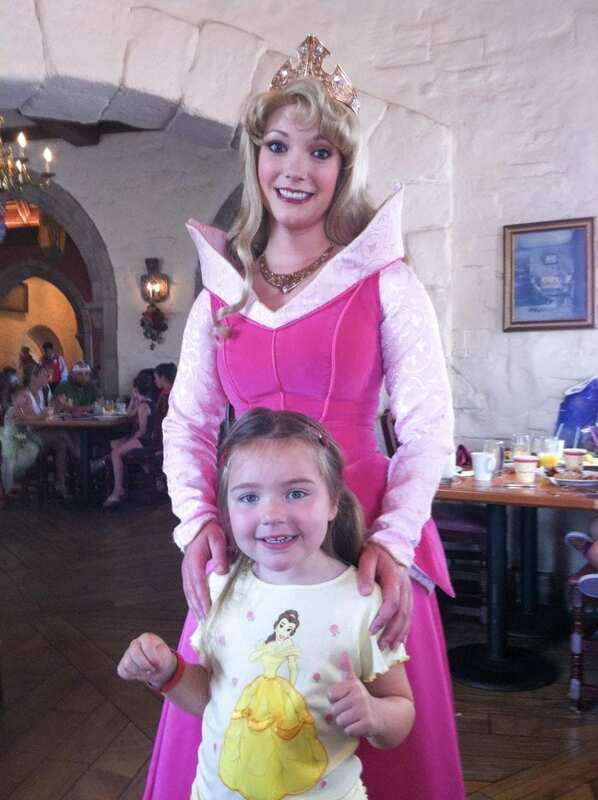 The only problem is that Kristin isn’t quite as excited about meeting princesses as she was even just a year ago. If you’d like to read about that trip, click here. I think there is a window where the Disney magic is really present for kids, and as they get older, it becomes a little less. 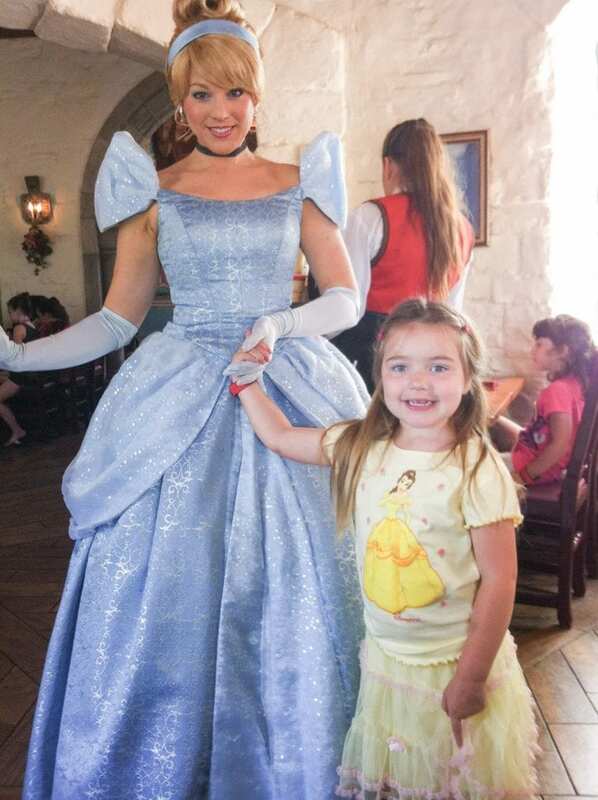 Don’t get me wrong; we will still meet characters and do character meals, but it’s just not as magical as she gets older. Well, it’s magical for me. Maybe the window of magic reopens after a few years. I am definitely the most excited about seeing the characters and doing the character meals. Maybe as adults we are looking for that magic of childhood again. I know I find it at Walt Disney World. The look on your daughter’s face is priceless, the joy and happiness just shines from these photos. It makes me happy to see such memories being made and I love the fact that as an adult you are still entranced by the magic – hang onto that it’s a gift. I agree! I love making these memories. And, I’ll probably never grow up! I love how happy she looks! This brings joy to me and reminds me of my days as a child waiting in line to see Minnie Mouse. I love that this place looks intimate enough to have quality time with the characters, she got so many photos. Great tips and honest review. Thank you! I just want everyone to have the opportunity to make these memories with their kids. I love that look of happiness! Yes, she will. She loves Disney, and I hope that never changes because I want to bring her there as often as I can! How special for you all – loved looking through your pictures and how happy your daughter looks, memories she will keep forever! Disney is so magical, for all ages! It is a magical place! I really do love the memories we make there. I can’t wait to go back! Great info! You said you charged your meal to your magic band, but also talked about gift cards. Did you pay the balance with gift cards? At the hotel perhaps? Yes, we did. I should have clarified. We charge to the bands and then pay down our balance every other day or so. You could use the cards directly at the restaurant, though. We just don’t like bringing the gift cards into the park if we don’t have to. Magic bands make everything so easy! Your girl is looking beautiful and so happy at Disney World. Breakfast at Akershus looks like a nice place to eat out. There are so many characters with beautiful costumes. Meeting them would be so delightful for children too. This place is wonderland type. Thank you! It is a great time when eating with the characters. We love it! I have always and I think always will love Disney. Maybe not the Disney Channel, but I feel like going and seeing the Princesses as an either a child or adult will always have a special memory for you both. There are not a lot of kids that can say that they have done this – or at least IN a Disney Park. I bet is was nice as a mom to be able to get to see all of them at once though. I’m a huge proponent of developing children’s creative capabilities and so good for you for taking her. I love watching my daughter with the characters. I’ve teared up a few times! I think I will always love Disney, too! I suddenly wished I was a child again! Love such themed parties and with characters like Mary Poppins it would be like a dream come true moment.The costumes so right and real. Indeed precious memories. They really do a great job with costumes at Disney! It makes you feel like you are really in the presence of actual princesses and such. I also wish I could’ve gone more as a child. Yes, I agree, it is fun again when you are an adult. I did this meet-and-greet a few years back and loved it! I hope to take my daughter some day. Thank you for sharing! They are really fun, aren’t they! I agree! I think a lot of adults like it as much as the kids. Disney really is a wonderful place! Sounds like a fun activity for the little ones! My bf’s niece just attended a princess luncheon in Michigan. She loved it. I would love to do that, too. We’ve also been to Princess Night at Chick-Fil-A and Orange Leaf. Not quite the same, but still really fun! The happiness on the face of your daughter is priceless. It looked like as if it was a dream come true to meet the Disney princesses. I loved the outfits of each one of them. 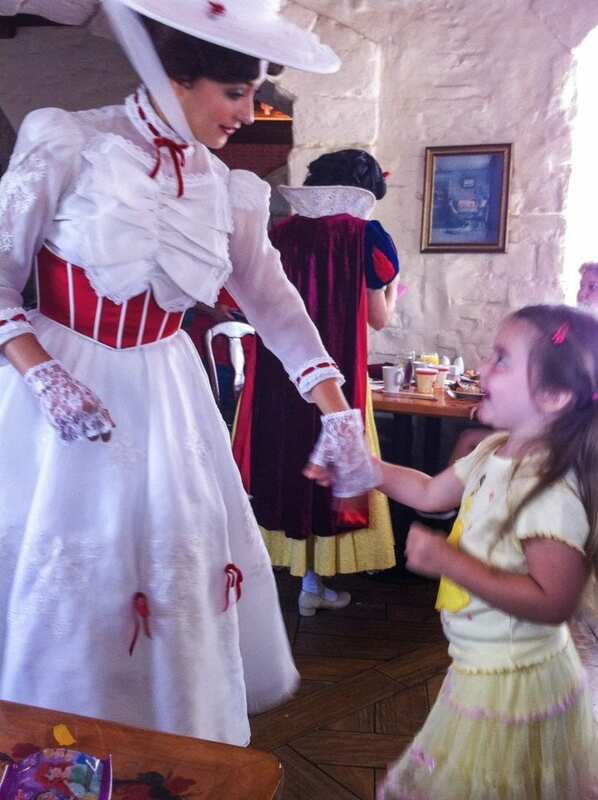 It’s a great idea to visit and have the meal at Akershus Royal Banquet Hall so that you can meet the Disney princesses. I agree! We love doing character meals at Disney. The costumes are so beautiful! This is so cool, I love how Disney makes everything a celebration. Me too! They have such special experiences! Omg this sounds like a truly magical experience. The costumes look amazing and I love that they had a Mary Poppins. I would have loved that as a little girl! I do love the characters’ costumes! They really are beautiful. I love to go now, but I would have really loved it as a child! My girls would absolutely love this!! We usually wait in the long lines. This looks like a great way to do it! We like it. We are not so patient for lines, so we do a couple of character meals each trip. This looks like such a special experience for your daughter! It must be many little girls’ dream come true to visit. I agree! It’s also my dream come true! Ha! Wonderful post Stacey. 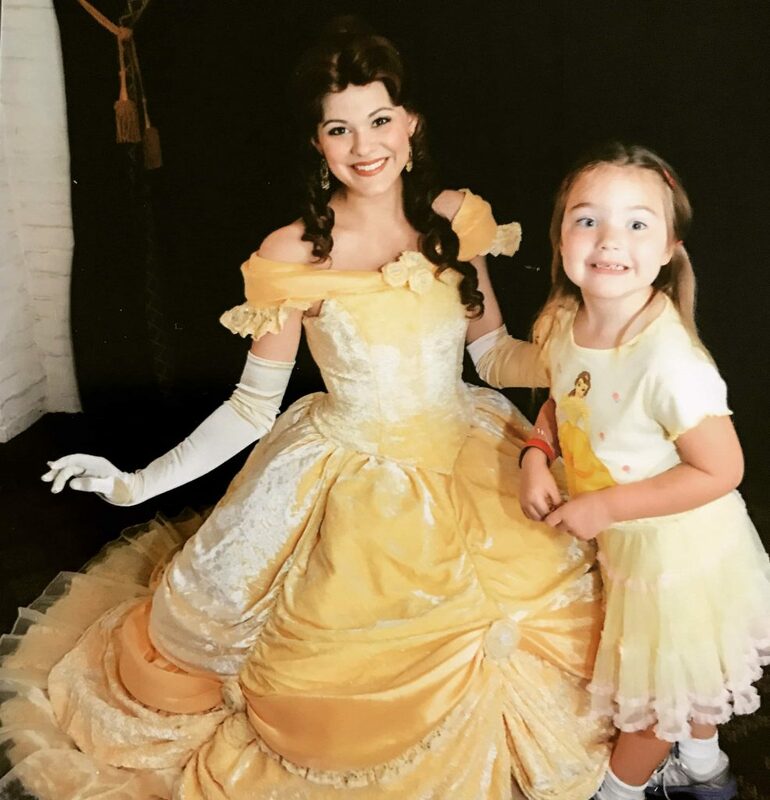 You managed to take me back in time to when my daughter Tatum (now 15) was little and we did the character breakfasts and met ALL the princesses. Such wonderful memories. We did the Cinderella Castle breakfast when we did, and it was very magical. We still have pictures of Tatum smiling the same way as your daughter is in these photos. As you mentioned, sadly as they get older this magic does fade away. We haven’t been to a character breakfast since (probably 10 years now), but the good news is our daughter still loves Disney. We also go about every other year, recently every year at least for a weekend. I am definitely interested in reading about your money saving tips, especially how you were able to stay at the Animal Kingdom Lodge! Those rates are always insane! I’d also like to read more about how you purchase your tickets. A few years ago my wife and I sucked it up and bought the 10 day Magic-Your-Way Park Hopper tickets for all 5 members of our family. We paid for the no-expiration option because we knew Disney planned to do away with this soon (currently no longer available). These were NOT cheap, but we still have them, and we are slowly rationing them each year when we go. Sounds like our families have a lot in common when it comes to loving Disney World! I very much enjoyed reading your post! Thanks for the kind words! We did the Cinderella Castle meal for my birthday last year. You notice how I said “my birthday.” Ha! My daughter had a great time, too, though. We also try to go every other year now, and I do have to do my little savings tricks to make it happen. I also have fewer tickets to buy, so that saves me, too. We use The DVC Rental Store to stay at deluxe resorts for less. We rent points, and the cost is similar to paying rack rate at a Moderate for our family. We stay in studio villas now, but we have done a 1-bedroom and a 2-bedroom at Animal Kingdom Lodge. My parents split the cost with us when we had the two-bedroom. It was about the same price as two Moderate rooms would have been at rack rate. The other thing I do is spend a couple of years earning Disney gift cards from sites like Swagbucks, Shopkicks, and Ibotta. I also use Receipt Pal and Receipt Hog. Oh, and the Walmart Savings Catcher is great, too! I earn points at these sites, and for the first two, I cash out for a Target or Walmart gift card and use those to buy Disney cards. I save them up, and I use them to buy the tickets and food for our trip. I may also buy the occasional gift card to add to our fund. But I do earn most of it. We don’t get the dining plan, we just charge to the Magic Band and pay down our balance with gift cards every other day or so. We also don’t get park hopping on our tickets. We go in the summer, so we go in the morning, take an afternoon break, and we return to the same park in the evening. We also eat in our room a lot. We eat sandwiches and things that can warm up in the microwave. Then we spend money on the meals we really want to do. This is one of my favorite topics to discuss! I can go on and on! Aww, how fun! Princess heaven! 🙂 I can imagine these ladies who work there probably feel a little like a bride on her wedding day. My face hurt so bad after smiling so much, lol! I’ve often wondered how the characters really feel. I think it would be exhausting for me. So much human contact! What a fun princess day! My girls would have loved this! It is a fun place for sure! I love it as much (or maybe more) than my daughter! What a fantastic post! Great information and the pictures are really fabulous. Really takes you on the vacay! Thank you for posting this! Thank you! We really enjoy character meals at Disney! I have never been to Disney Land or Disney World but I have always wanted to go.Even now with my kids grown I still do. There really is a lot for adults to enjoy, even if you don’t bring kids. I plan to go as long as I am able! That’s great! We love Chef Mickey’s, too. In fact, I really like all the character meals we’ve done. I can’t think of one we didn’t really enjoy. You always look like you and your family are having so much fun! This reminds me of when I took my daughter, 6 years ago, to have dinner with the princesses. It was the most magical day of our trip and I even found myself getting caught up in the moment. It’s easy for us to get caught up in the moment, too! Thanks for the tip! 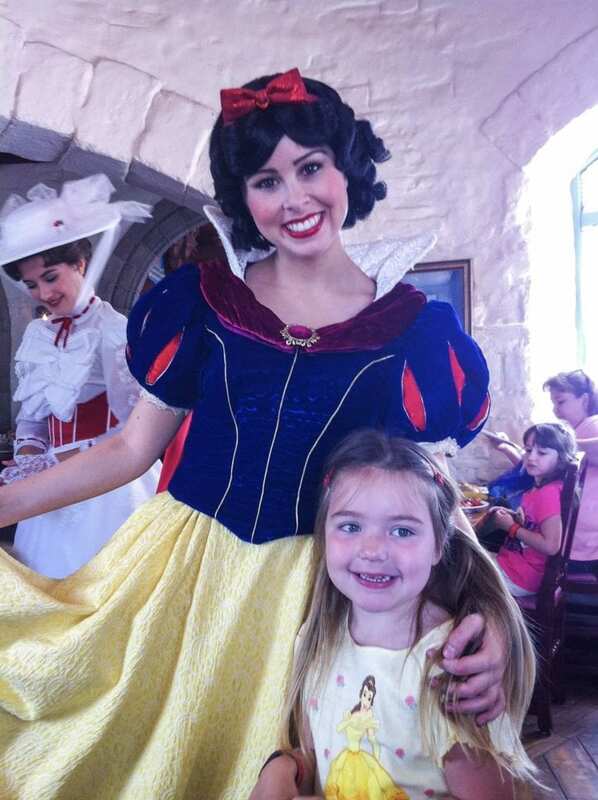 We’ve done some character meals before, but haven’t done one with princesses since we could never get in. I’m the opposite of a planner, so we end up just taking what we can get 🙂 I’ll have to check this out next time – maybe we’ll finally get a shot at it! You should! We had such a great time! I love character meals and this looks like a winner! As a parent, it is like killing two birds with one stone! We must eat, it’s good to relax, and we get to do it while seeing characters?! Win-Win! I will look into this place next time we go to WDW. p.s. Look into InBox Dollars too! I agree! I love character meals for the same reasons! I tried Inbox Dollars, and I never really got that one to work well for me. Different programs work for different people, I think.